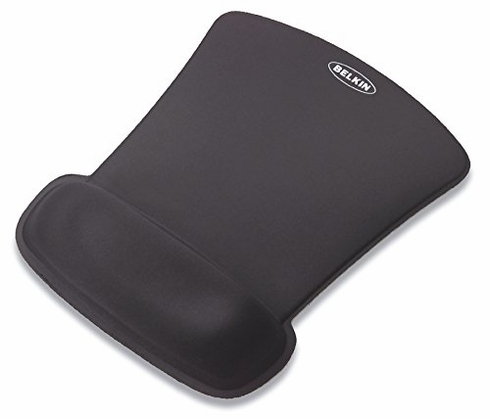 Belkin waverest gel mouse pad blue is designed so you will never have to feel the stress on your wrist again. Instead, be comfortable and satisfied as you click away at your screen. The gel padding conforms to your wrist for ultimate comfort.The WaveRest Gel Mouse Pad from Belkin lets you input data more comfortably and provides a smooth tracking surface for your mouse. 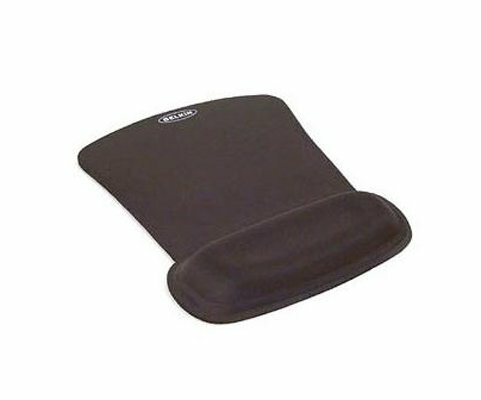 Our specially designed ergo support pad is perfect when youre typing for long periods or surfing the Internet. The patented GelFlex Comfort Zone conforms to your hands curves and helps reduce wrist stress that could lead to repetitive motion disorders. Very comfortable wrist pad. Slick synthetic material that allows my wrist to easily glide across it when pointing. I use it every day and am happy with it. Pretty stiff wrist rest. It's not gel inside there - feels like foam of some sort. Makes a crinkly noise which i am guessing is the plastic wrapper around the foam. I have an older belkin pad that looks just like this one - but it has gel inside - and it makes a difference. They need to change the description of this product. Chemical smell as well. 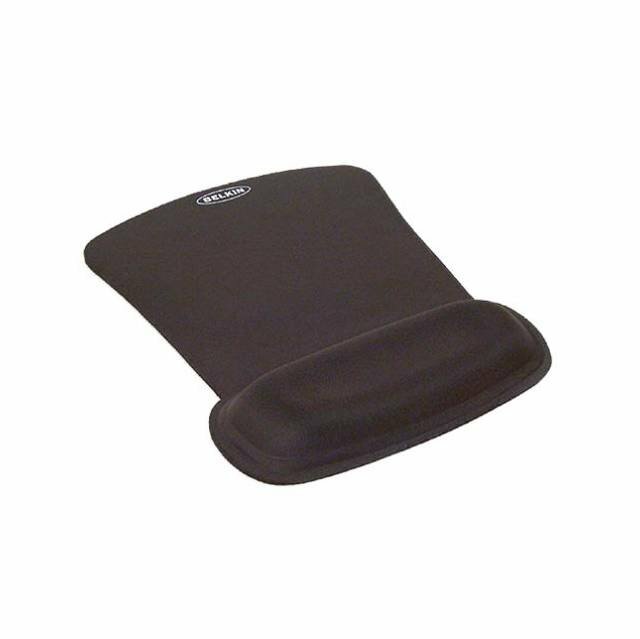 I bought the belkin waverest gel mouse pad, black (f8e262-blk) and after 5 weeks of use, the gel pad lost its shape. The gel pad caved in and lost its shape. Very bad quality. Love it. Comfy and sturdy and small enough to wedge between my keyboard and coffee cup. Hi, excellent mouse pad & useful for both right & left handed.